It isn’t all service and no fun: A small group of ARMN has met a few times informally to practice sketching. The charismatic Ms. Owl at Gulf Branch Nature Center makes a perfect and natural model. 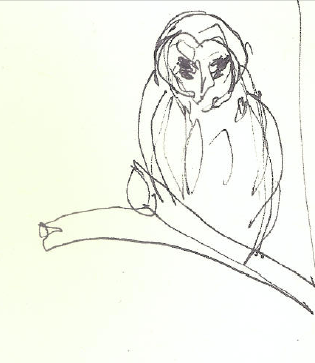 One of the artists, Cathy Broad, says, “The barred owl posed very nicely, after some curiosity at human attention.” Below are Cathy’s lovely sketches of Ms. Owl. Please join the ARMN Sketching Group for informal sketching sessions starting later this summer. Email Kelly Brown KellyB2dogs@gmail.com if you’d like to be added to an email list to help plan or to be alerted about upcoming sessions. Read Catherine Howell’s March 23 post Gulf Branch Welcomes Mr., errr…Ms. 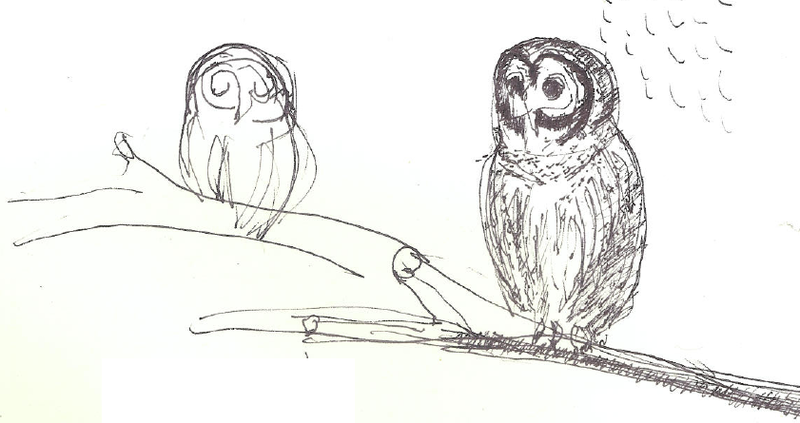 Owl to discover the story behind the barred owl’s mistaken identity. This entry was posted in Gulf Branch Nature Center and tagged owl by armneditor. Bookmark the permalink.